Soil amendments - additions, or changes - are like vitamins. If you get them in balance, you can create the most productive garden soil possible. and how can you make it the best habitat for your plants? Soil testing is easy. You can buy a kit at a garden store to measure the amount of nitrogen, phosphorus and potash in your soil. The kit usually has what to add to your soil to perfect the balance. 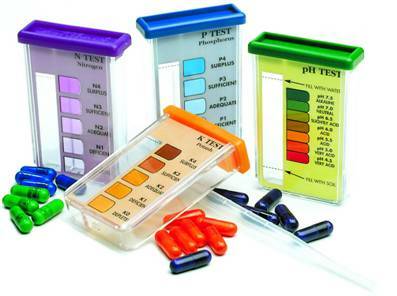 The kit also typically includes a test to show your soil's pH level (see #5 in this series). If you want to go real scientific on this, you can call your local county or university extension agent to see if you can get a complete test, and how long the waiting list is. If you're calling in the spring, ouch! EVERYBODY wants this done in the spring. So be smart, and arrange for it to be done in the summer or fall. But if you're content to use a soil test kit from your local garden store, that's great. Kits are usually very economical. Your students will appreciate the forethought that it takes, directed by test results, to change the soil within one garden to meet the various needs of different plants. It's a good idea to test soil for certain plants that require a little more acid (add compost) vs. a little more alkaline (add lime) soil. Then you can amend just those sections that need something extra, instead of the whole garden plot. The soil test report will no doubt recommend a quantity of soil supplement needed to correct what's missing for 1,000 square feet. That's 100 feet long by 10 feet wide - a humoungus garden. Using your math skills, you can have the students figure out how much that means to your garden, which is probably much smaller than 1,000 square feet. As soon as you price materials like compost, you'll want to try to make your own for free. So by all means start a compost pile or build a bin. 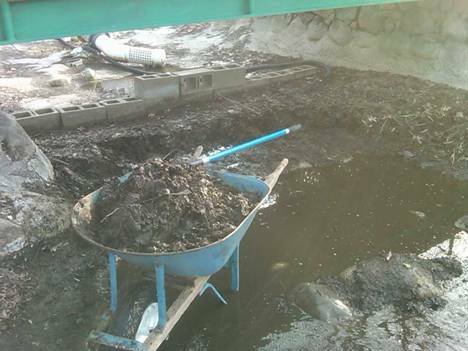 Similarly, to get manure, one way is to purchase it in bags at the garden store, but another way is to "scrounge" with local farmers to find animal waste that you can bring back to your garden in a pickup truck and add - if you need that much. Many gardeners swear by rotted chicken manure for that purpose. It's best to get it in the fall, leave it on the garden all winter so that it rots down into the soil, and then enjoy the benefits. Carrots. Add chopped-up autumn leaves or composted leaves in the fall where you're going to grow carrots next spring, and dig in some sand because carrots like a lightweight soil in which it is easy to grow downward. Asparagus. This vegetable needs an inch of compost every fall because it soaks up nutrients faster than most any other plant. Also put a straw mulch over your asparagus roots in the winter to protect them from cold. Cabbage. It feeds heavily and can be susceptible to diseases, so add lime or wood ashes in the fall along with a double dose of compost. Hydrangea and other acid-loving flowering plants need wood ashes, coffee grounds and crushed eggshells worked into the soil in the fall, plus a regular course of fertilizer in the spring and summer, if you want the deep blue blossoms; otherwise, you'll get pale pink.